Drake recently dropped "Summer Sixteen" and confirmed that Views from the 6 will finally be arriving in April, but he's got his sights set on something in the nearer future first. The Toronto Raptors ambassador brought "Hotline Bling" to life on the basketball court late last year, and now he's reaching out to football fans with a new Super Bowl ad. 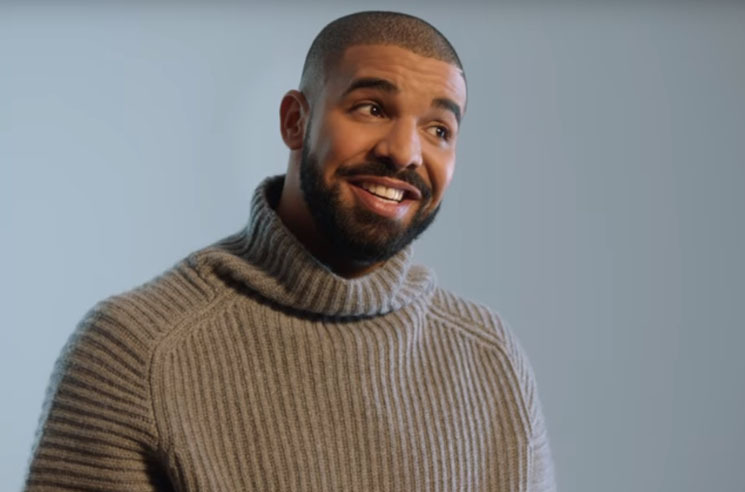 In a clip for T-Mobile, Drake gets some creative input from the folks at the phone company, who encourage him to adjust the track's lyrics to reflect their policies. Watch the turtleneck-sporting rapper politely oblige in the player below. The Super Bowl will air on February 7, where Coldplay and Beyoncé are slated to perform at the halftime show.